By now you should all be aware of the growing popularity of online video. Scroll through Facebook and ask yourself how many times you come across a video within your Newsfeed. Yep, video has become an essential. Marketing through video isn’t longer considered as a luxury alternative, but rather a necessary solution. Don’t believe the video hype? Did you know that by just using the word “video” in your subject field can increase open rates by 19%? Just what is it about video marketing that gets the internet talking? Is it the level of engagement? Perhaps the interactiveness? Or is it the SEO benefit? Well, it’s a mixture of the above and more. This blog, however, isn’t about why video marketing is so important, but rather how to use video marketing to help grow your business. Below are our top 5 different techniques for you to try out. Visual marketing goes back a long way. Our brains can process visual content around 60,000 times faster than text, so it’s no surprise video is typically favored over reading how a product works. Here’s another fun fact, 85% of people are more likely to buy a product once they see an explainer video. An explainer video helps explain a company’s story, product or service. Its purpose is to tell who you are or what you offer in a friendly and efficient manner. Explainer videos are typically short and can be digital drawings, hand drawings or live action. Having said that the most popular types of explainer videos are animated videos. Here’s an explainer video on Growth Hacking. Take a look. If we had to say the word, soft drink, what’s the first thing that pops into your mind? Are we right to say Coca-Cola? What about “search engine”? Does Google spring to mind? You want your audience to remember your brand when they think about your product. There are so many ways to create a buzz around your brand with video. What’s even better is that you don’t need a big budget or a team of in-house professionals. You just need some creativity. GoPro is significantly popular when it comes to building communities and creating massive brand awareness. They have a clear grip on the action camera market by taking advantage of awesome user submitted content to help promote their product. Take a look. Give your audience the opportunity to meet the people behind your brand. Being genuine and showing authenticity isn’t something companies can fake. Although ultimately consumers are after a great product or service, it’s the passion and cause of a company that builds an emotional connection between brand and customer. Doing so will humanize your brand! The inclusion of vlogs or video blogs should not come as a surprise. Vlogs are cheap to make, they are rich in personality and showcase significant engagement figures. So why are such few companies jumping on board vlogs? We aren’t too sure, but if vlogs such as Gamespot’s or Youtube celebrities is anything to go by, then we highly recommend jumping on the bandwagon! When it comes to launching a new product, service or even event, promotional videos are the one. Promotional videos are an excellent way to communicate your message to the masses. Think of a promotional video as somewhat in between an explainer video and a brand recognition video. You want to showcase what your product is without explaining too much, at the same time you want to make sure your name gets recognized. Here’s one of our favorite promotional videos. Volvo really hit the nail on the head with this one. Facebook’s latest advancements to create video infrastructure comes in the form of a live feed, also known as Facebook Live. Facebook Live can help connect your audience to your business with video. Once you go live, your viewers will get a notification prompting them to watch them to tune in and watch it. Use Facebook Live to go behind the scenes and offer your audience an exclusive look at what others may not have access too. Or go live at your company hosted conference or event. Facebook has helped increase the power of video in ways never seen before. 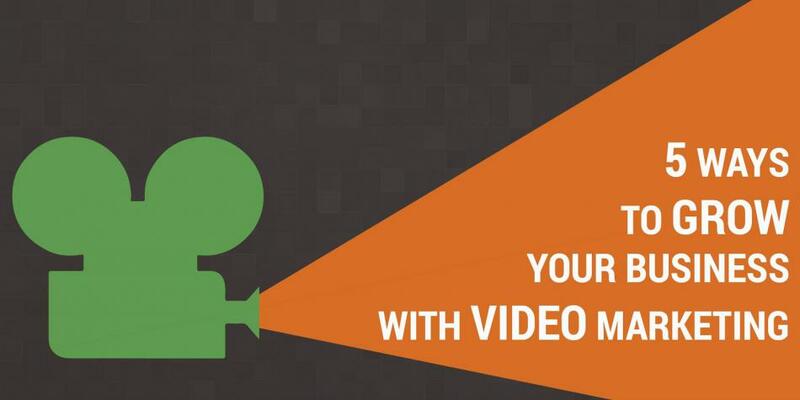 Now that we’ve given you the information, it’s time for you to create your marketing video. Put the power of video to work for your business.